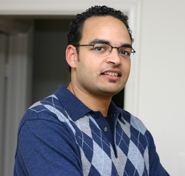 Khalid is a systems engineer who works as Business Continuity Director in the Washington DC area. He is also a rising professional photographer. Khalid is Quilting Point’s technical consultant and co-producer of this documentary series.